This is the fixed blade hunting knife you have been searching for to take to your outdoor hunting and camping adventure and for decoration in their trophy room. 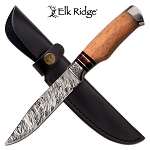 This is the fixed blade hunting knife you have been searching for to take to your outdoor hunting and camping adventure and for decoration in their trophy room. 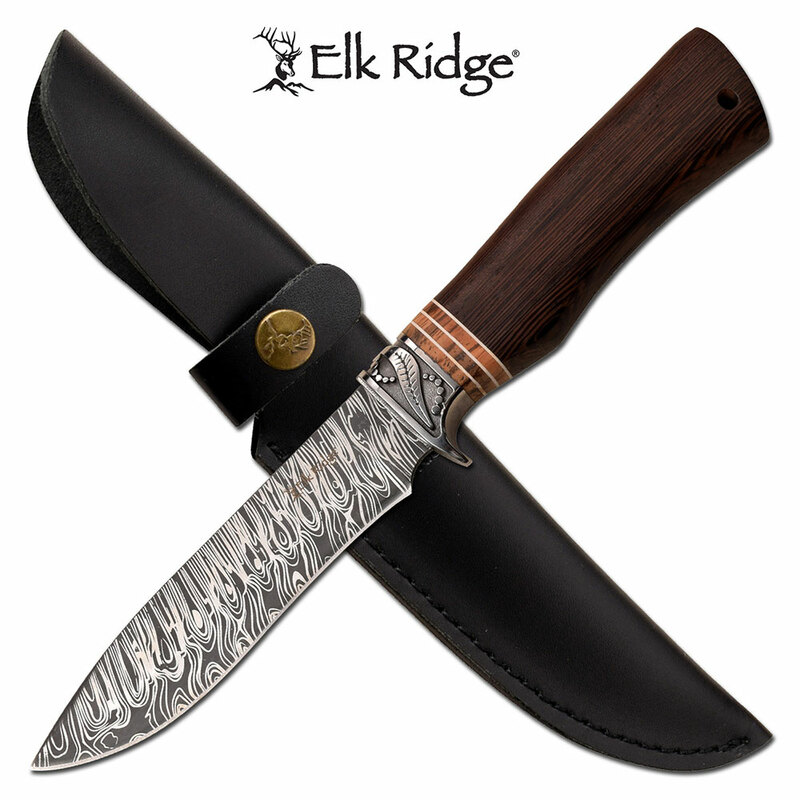 This impressive hunting knife blade is etched in damascus blade pattern. The price can not be matched by anyone as the price listed is wholesale knife price. The blade is actually constructed from 3cr13 steel material. The very nine looking knife handle is made from maple wood with steel capping which brings in the amazing look to it. A premium leather sheath is included with the knife.